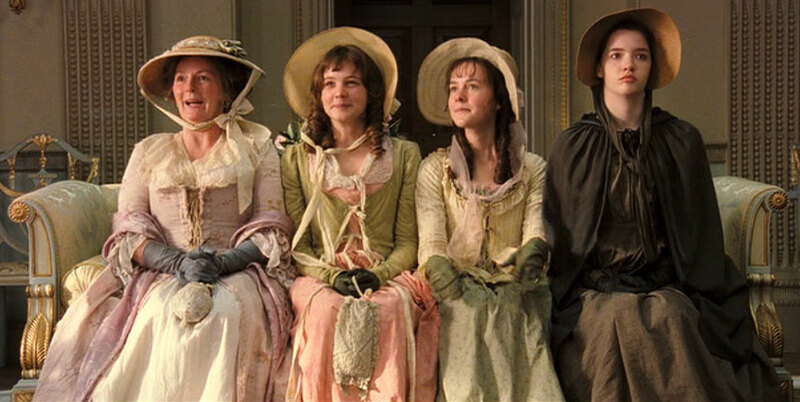 Thankfully, it didn’t take me too long to track down a DVD copy of Pride & Prejudice (2005)… just over a week, in fact. Hurrah! I’m guessing this was director Joe Wright’s first attempt at recording a commentary track, because he doesn’t seem entirely comfortable with the process, noting how difficult it is to sum up everything he wants to say about the film in a two-hour monologue… and at times he sounds awfully downbeat and self-deprecating, worrying over the dismal English weather, poor lighting conditions and flat compositions. Don’t be so hard on yourself, man! Go and read some of your rave reviews! That aside, he still makes for a very entertaining and insightful commentator, and (as I’d assumed), there were several motifs and symbols that had completely passed me by, so it was helpful to have them underlined. About halfway through he realises that he hasn’t said much about the film’s star, Keira Knightley, but admits he doesn’t have very much to say, except that she’s a brilliant actress, and very quiet and focussed between takes. He also praises Brenda Blethyn’s idiosyncratic improvisations, and notes how intimidating it was to kick off the shoot with a dinner table scene (notoriously difficult for directors at the best of times) involving the inestimable Judi Dench. Sinead Matthews also gets a name-check, despite the relatively minor role she plays. 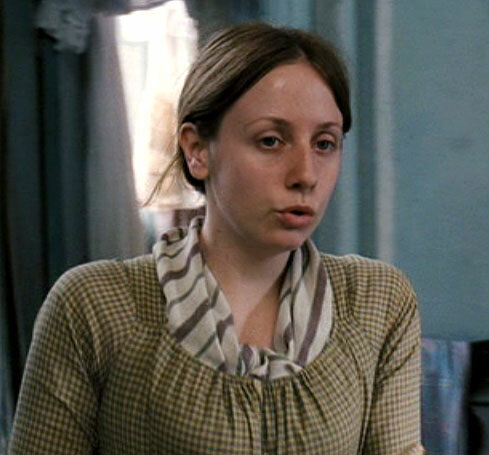 There were a few interesting titbits to be gleaned regarding the character of ‘Mary Bennet’ too. She’s barely mentioned in the book, so there was apparently some talk about cutting her from the script entirely, prior to filming… but I’m glad they kept her in, because I like how much of an “odd one out” she is (the image above, of them sat together on the couch, makes me chuckle every time I look at it). During the scene where Mary plays piano at Bingley’s ball, Wright casually mentions that Talulah Riley was asked to audition for the role after she wrote a gushing letter about how much she loved the novel… although he doesn’t explain exactly who she sent the letter to, or why they took any notice of her! I’m not complaining though… her performance is a big part of what makes the character so memorable. I hadn’t noticed this myself, but Wright points out that Mary clearly has a crush on ‘Mr. Collins’ (Tom Hollander), and in retrospect it does become more obvious… they both take themselves a bit too seriously, and would probably have made quite a good match. If only he’d stuck around long enough to propose to all of the sisters, after getting knocked back by Elizabeth! The “behind-the-scenes” featurettes are quite sweet, showing how the Bennet family bonded over the course of the shoot… although there’s a rather bizarre clip in which Hollander tries to alienate all of the novel’s female fans, by characterising them as possessive, pedantic shrews! Charming. The “alternate ending” (tacked on to the American theatrical release, but unseen by British eyes) was pretty adorable, even if it seemed like a bit of a random afterthought. Seeing the happy couple kissing on their wedding day might have made more sense than seeing them kissing as a married couple on an unspecified evening… but that would also have involved a lot more extras and expense, I imagine. Oh, and while we’re on a sappy tip, Wright describes “love-at-first-sight” as two people recognising each other from their future together. Aw. This entry was posted in Rants about Films and tagged Brenda Blethyn, Judi Dench, Keira Knightley, Pride & Prejudice, Pride and Prejudice, Sinead Matthews, Talulah Riley. Bookmark the permalink.